Young chef David Toutain is the rising star to catch in Paris right now. 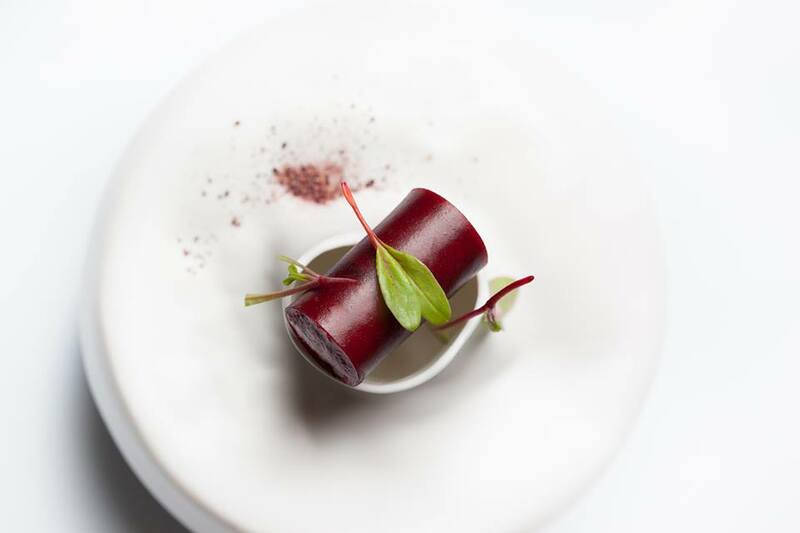 After cooking his way through the kitchens at Bernard Loiseau, Marc Veyrat, Arpege (Alain Passard), Mugaritz (Andoni Luis Aduriz), and Corton in New York, Toutain dazzled Paris during an 18-month stint as chef at L’Agape Substance in Saint-Germain-des-Prés, and then he took off for Asia. Back in Paris, he turned on the lights at his own first restaurant last December, and this duplex dining room with a minimalist décor that mashes up Japan with Scandinavia has been packed ever since. Recommended: The tasting menus offered here change regularly, but dishes like seared-duck foie gras in baked-potato bouillon with black truffles and cuttlefish with yuba (bean-curd sheet) and nearly translucent Parmesan gnocchi show off his potent gastronomic imagination. Restaurant David Toutain, 29 rue Surcouf, 7th Arrondissement, Tel. (33) 01-45-50-11-10. reservations@davidtoutain.com. Du lundi au vendredi: 12h-14h30 / 20h-22h.